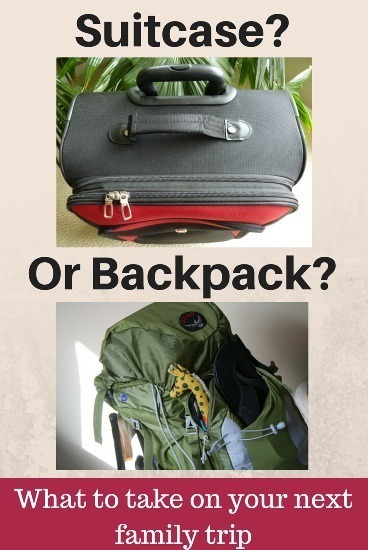 Trying to decide whether to take suitcases or backpacks for your next family trip can be one of the most difficult decisions in the lead up to your trip especially if it is the first time you have travelled as a family. However, even if you have travelled many times before, it can still be difficult to work out what is best for next time. The best choice can change depending on where you are going and how old your kids are. 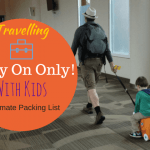 3 Best Travel Bags for Kids? I was never much of a fan of suitcases. I loved travelling with a backpack as it felt like I had more freedom than when I tried lugging around a suitcase. It was easy to just put a backpack on and go do whatever and not have to worry about stairs or getting on a bus or anything. In some countries it was essential. I could not imagine chicken bussing it around Central America with a suitcase. The amount of stuff that a baby seems to entail is quite frankly ridiculous. I went from a 20 litre backpack to two suitcases the first time we went away with both children (when they were 11 months and 2 years old), and it was definitely the right choice. Between 5 tins of formula, bottles, a travel crib, nappies, an inflatable mattress for S, etc, etc, there was just no choice (check out our packing list here). The other thing that can make suitcases a great choice with young ones is that we would often have our youngest attached to us in a carrier. We did not know logistically how a big pack on the back, a carry on backpack and a baby in a carrier could work. How would we carry them all around? I also find a suitcase allows for easier access to our things. I pack our clothes into a corner for each person which makes it easier to access what we need. Of course, they do have their downsides. A suitcase needs one of your hands meaning you have one less to control children. As our kids get a little older and we no longer need to carry them, hands are more useful to us than having space on our chest or back to carry them. Suitcases are nowhere near as mobile as a backpack. Getting them on and off transport is annoying. If the kids run off, chasing them with a suitcase can be problematic. In some places, like Sri Lanka, it is just not practical to take a suitcase on public buses. 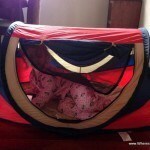 Easier to fit awkward size items like a travel crib. Kids are young and you need a lot of equipment or want to use a baby carrier. You are going on a trip where you will primarily take taxis or have your own car. You can read my guide to the best luggage here. I am a big fan of backpacks. They are just so easy. You put them on your back and then you are ready to go without any worries about walking up stairs, uneven roads or getting on a bus. The best part about a backpack can be the freedom it gives you when travelling. You have more choices in regards to public transportation. When we were travelling with two suitcases, a stroller and two little ones, it was very rare that we felt we could get public transportation. Getting on a crowded bus with all of that is just too hard so it impacted where we could travel. Of course, travelling with babies and toddlers meant we did not want to catch crowded buses so it was not that much of an issue at that point. They can also be used to do activities like trekking. They give you more flexibility. 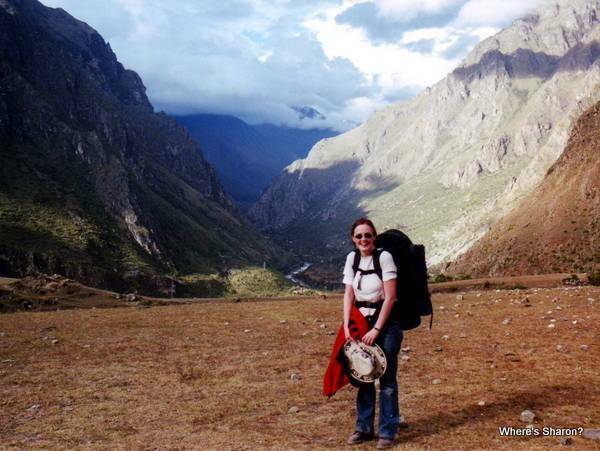 On the Inca Trail – I’d love to see you do that with a suitcase! The downsides are that they can be heavy. 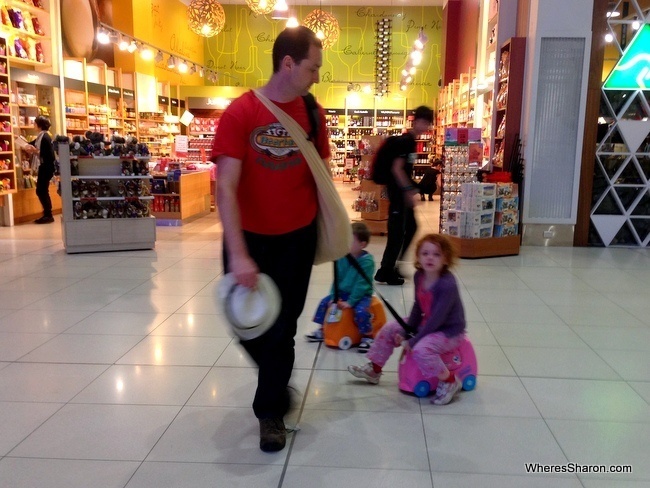 It can be a lot to carry around especially if you need to factor in some hand luggage as well or if your kids decide to stop carrying their own bags or refuse to walk. However, at times when you would have had to carry around a suitcase anyway, for example, up stairs, weight distribution in a backpack makes it far easier to do so. Although many backpacks can come with lots of compartments and cool U zips, I do not find them anywhere near as easy to access as a suitcase. Their shape can make them harder to carry around baby equipment such as formula and travel cribs. You can read my guide to the best travel backpacks here. You are sure to find something perfect for your family. Best Travel Bags for Kids? 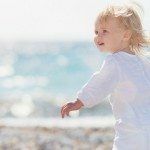 Working out the best travel option for kids can be tough, and it is going to vary depending on their age. 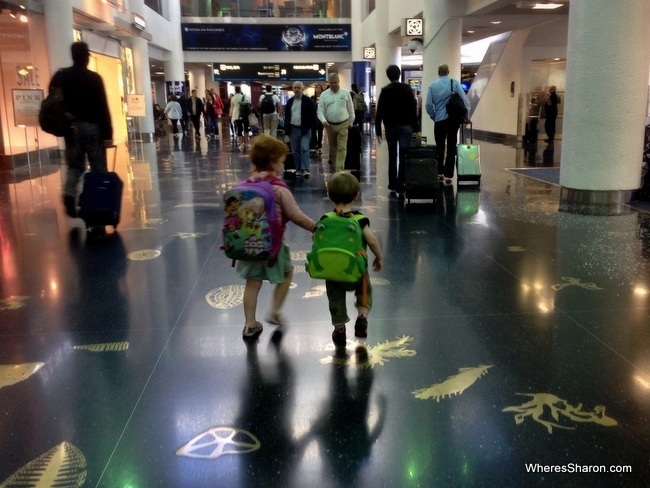 When our kids were toddlers, a small backpack worked best. They would pack it themselves with their favourite toys and they took pride in carrying it around. It worked very well. We especially loved these little animal backpacks (like the frog backpack pictured above). Small is definitely best at this age so that they can’t pack much meaning it gets too heavy for them to carry. Now that they are preschoolers, Trunkis are working very very well for us (read the full review here). These ride on suitcases are easy for the kids to pull around, and it gives them something to play with and somewhere to sit when we are waiting in lines. The big plus for us is that we are able to pull the kids along on them which is great when distances are big (please note that this is not the intended functionality of the suitcase. I can’t guarantee that it is completely safe, but it is working well for us). 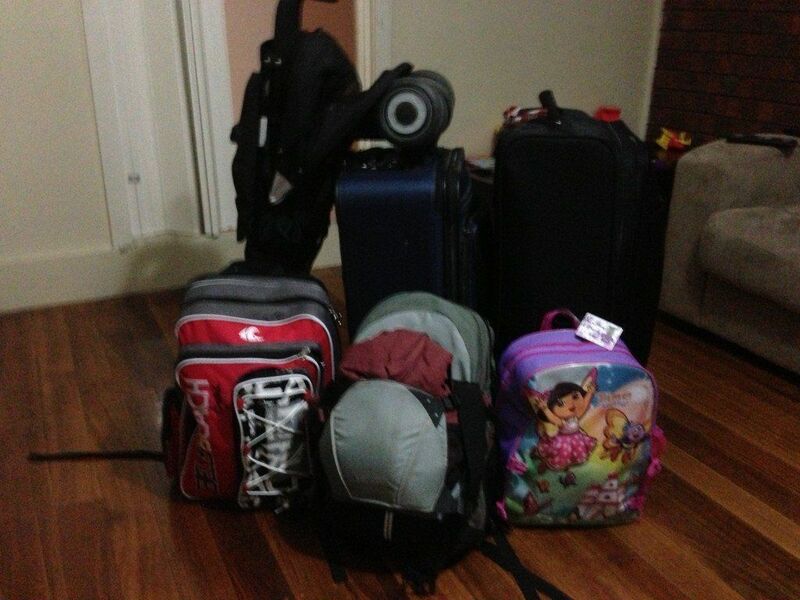 The other plus is that the suitcases are 19 litres which means they hold a fair bit. We are able to pack the kids clothes plus some toys and nappies in there. Trunkis are one of the reasons that we are able to switch to carry on only as it means that we can better optimise the space that the kids are allowed to take onboard while still having a case that they can transport themselves. You can buy Trunkis on Amazon. We are big fans of travelling carry on only and I think this is the best option to take if you can handle taking less luggage with you. Whether you take a carry on backpack or a small suitcase is up to you, but carry on bags do give you even more freedom and flexibility. It can also save you money if you fly budget airlines. Baggage charges can start to really add up if you fly often. It also saves times at airports and bus/train stations and makes it very easy to just walk to wherever you are staying. If you want to read more about why I love travelling carry on only and to see my packing list – check out this article. This was before I had children but we are excited to be going carry on only from here on with our kids. Look out of our packing list for that coming soon! What is your favourite packing item and why? You know what my biggest cons for a backpack are? – In recent years the customs checked my luggage quite often – guess it depends on destinations. Believe me – if you got a big suitcase you can just swing open, things will be a thousand times easier than unpacking and re-packing a backpack. We are talking about 2minutes or 30minutes here. Ah yes. Since I haven’t yet replaced my big backpack (which Tiger Air lost a year ago) I have to decide what to get for our next Europe trip in a few months and I really can’t decide. Pros and cons to both. My heart says backpack though. I will have to think about it! Hi Amanda! 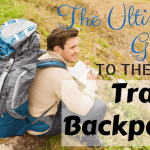 I am so excited to be using backpacks again (well backpacks and trunkis! ), although the suitcase was very necessary for us when our kids were a bit younger. I think it is going to make Europe so much easier for us when we go in June. I am especially loving my new Kelty Redwing, so I can especially recommend that. Good luck! Suitcase with big wheels for sure. Especially with the occasional back issues that can arise from backpacks. Amazing how much you can pile on top of a suitcase with wheels too around the extendable handle. For sure! I have connected so much to the top of our suitcase. 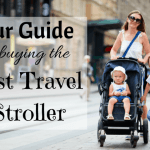 We have even done things like use a strap to strap our stroller onto it!